I am a stay-at-home-mum that of course have lots to do every day. But this does not prevent me from having thoughts and opinions about everything under the sun. Some days I really want to get those thoughts on to a piece of paper but to keep a paper diary has never worked for me. Nor do I have a lot of time nowadays to keep my correspondence up with my dear friends all over the world. My blog has become my diary and also my way of informing my friends what goes on in my life. My children have not agreed to share their lives with the world so I try to protect them with their petnames. My friends know who each child is in reality. 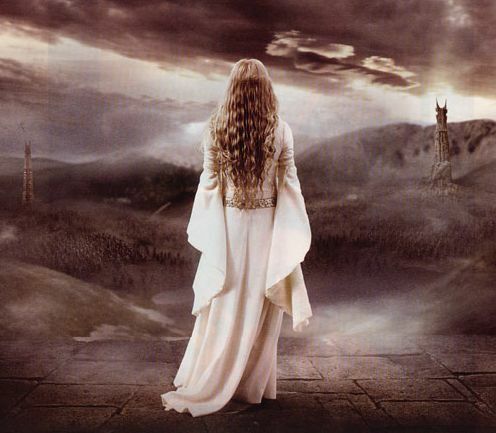 And to protect some of my own identity, I use the name JR Tolkien would have given me or ought I say, the name that I would have been given in Galadriel’s kingdom? I am sorry for late answer. Instead of sending a personal e-mail, I have composed a blog post which I hope will answer all questions, you and every body else who write me on the topic, have. Only problem is that it is not published yet since I need to edit it and thanks to Christmas, New Year’s, Twelfth Night, kids off school and my mum with dementia, this has not been done yet. But it is in the making. So just hang in there! SOON! Hi, I was just searching the school facilities and other resources for my 7 year old daughter as we r planning to move to Sweden . We are in uk but husband wants to do his PHD FROM SEWDEN. Can you please share some informations on schooling , abs therapy, treatments and activities there!! Will always be indebted to you . My email address is dhar_manika@yahoo.com. I was looking at your site and I saw a lot of information about the educational system in Sweden in regards to autism. Currently, I am in the United States but I have been putting applications in for graduate school in Sweden. I have a seven-year-old with autism though and that has been my one concern about moving, and it is hard to find good information because most sites assume people are already familiar with the Swedish education systems. At present, he is being transferred to a specialized school because the mainstream school determined they were unable to suit his needs (and I agree with that assessment, he has been expelled several times for hitting). I am concerned this will become the pattern again (being expelled) if we move to Sweden and will negatively impact both his and my schooling. My email is stevenson.christina.m@gmail.com I know it is a long shot but if you would be willing to talk to me about this issue I would be indebted to you! I followed a link through to your blog entry about Roma beggars and I thought I’d get in touch because I’m working on a documentary film about begging in different countries and we are filming in Sweden over the next week. We’re looking at how different countries deal with it and who is doing it where and why. We’re also trying to get a wide range of public opinion on the subject and you write about it very clearly and succinctly. Are you free to speak on the phone? It would just be for my research. The documentary is for Al Jazeera English and we have just arrived in Malmo from London. We’re also going to Stockholm later next week. My email address is caroline_marsden@icloud.com. I won’t quote you on anything – it would be off-the-record, confidential and just for my background research about the issue in Sweden. I just got your blog and cant wait to start reading it.